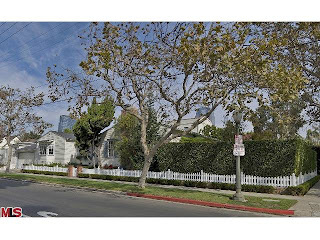 The Traditional home at 2272 Kerwood Ave., LA CA 90064 lasted a brief 7 days on the market before accepting one of the multiple offers on 11/17/09. The home was listed on 11/10/09 for $1,379,000 and closed on 12/17/09 for $1,403,000. The home was previously purchased for $1,412,500 back in July 2006. According to the MLS, the home is a 4 bedroom / 2.5 bath, 2,100 sq ft of living space on a 6,875 sq ft lot.